For the last few months I’ve been testing out new recipes for homemade bread. After learning so many scary facts about chemicals found in store-bought bread, and while knowing myself well enough to realize I’ll never give bread up, I made it my mission to make our own. This is by far the most complicated of the breads I have made, but it’s actually easy, and so delicious! 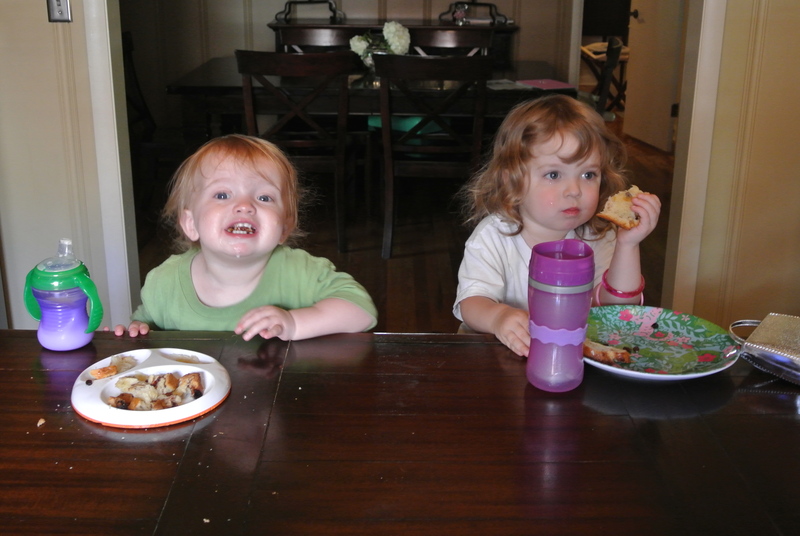 My family ate half a loaf at breakfast this morning! 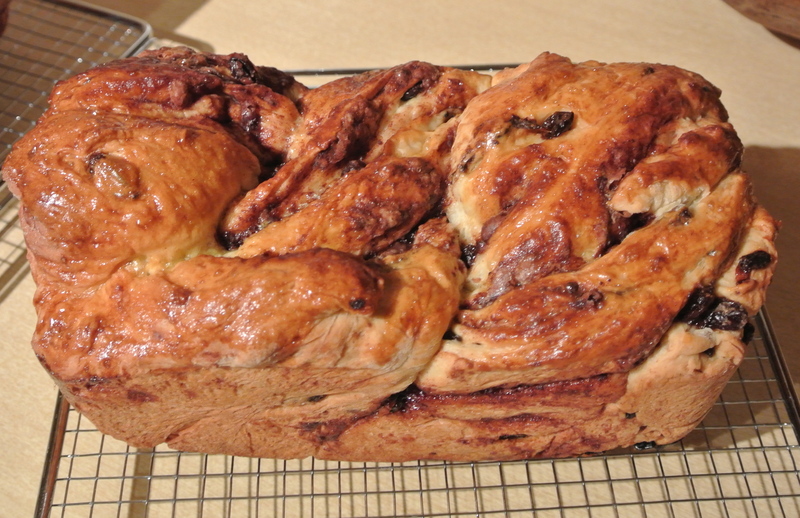 I found this recipe on the delicious blog, Tracey’s Culinary Adventures, and it comes from Cook’s Illustrated. ****I didn’t have dry milk powder. After doing a little bit of research, I found out that you can use real milk in recipes that call for milk powder and also call for water. All you have to do is leave out the milk powder and substitute milk for the amount of water in the recipe. In this case that means you would just use 1 1/2 cups of warm milk. I warmed my milk on the stove. I was worried about the milk spoiling since the bread takes so long to make. After doing more research most people said that it’s fine to use the milk because even if it begins to spoil, (bacteria growth in the milk) the cooking process will cook out all of the bacteria. 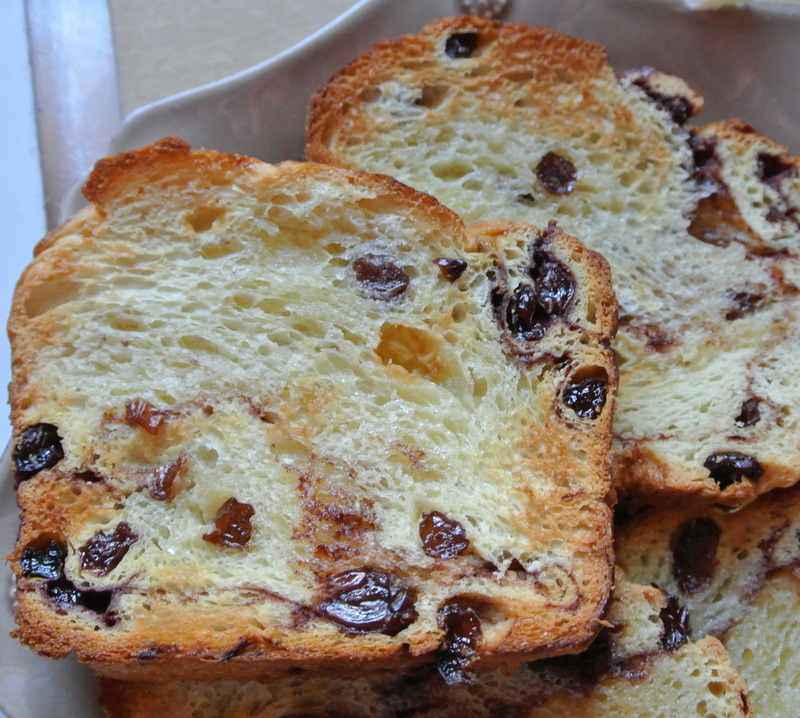 The milk never seemed to spoil, and the bread turned out wonderfully. If you are worried about using real milk, then just follow the recipe. ****Also, this recipe calls for instant yeast, and I just used my regular active yeast and it did just fine! 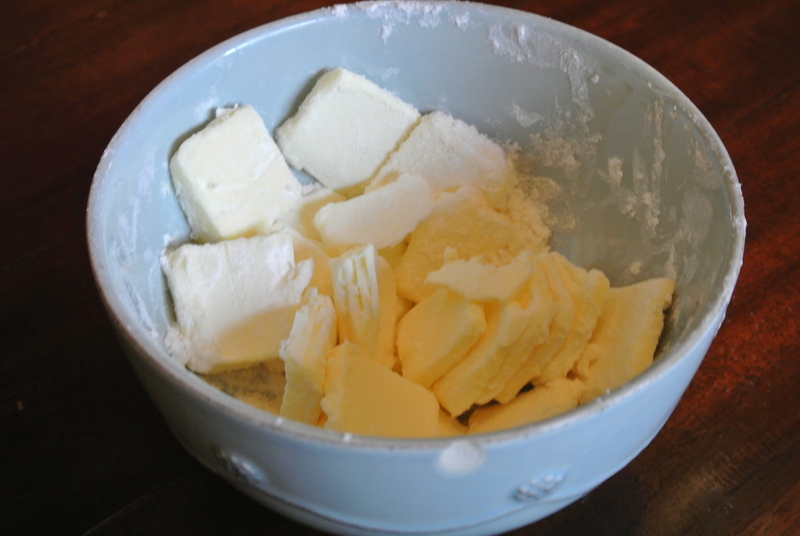 To make the dough: Cut the butter into 32 small cubes. Add to a small bowl and toss with 1 tablespoon of the flour then set aside. 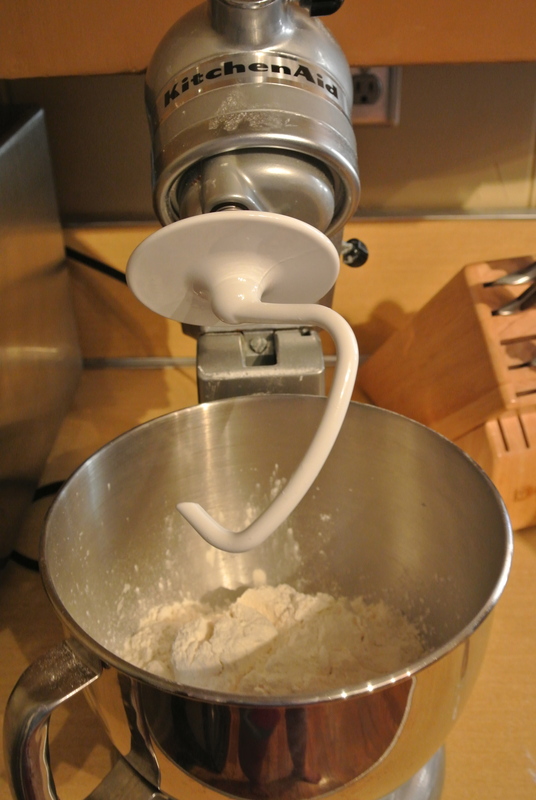 In the bowl of a stand mixer fitted with the dough hook, whisk the remaining flour, milk powder, sugar, and yeast together. 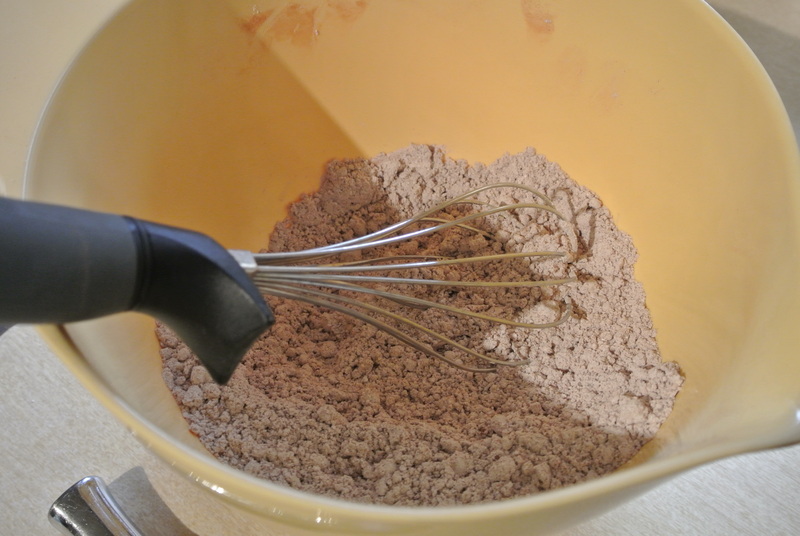 Add the water and egg, then use the dough hook to mix on medium-low speed until the dough comes together in a sticky mass. 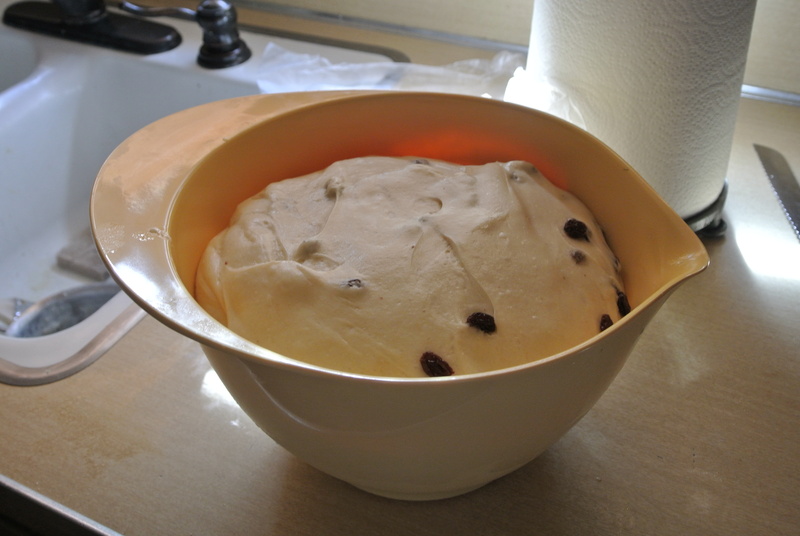 Cover the bowl with plastic wrap, and let the dough stand for 20 minutes. Meanwhile, bring a pot of water to a boil. Remove the plastic from the bowl and add the salt. 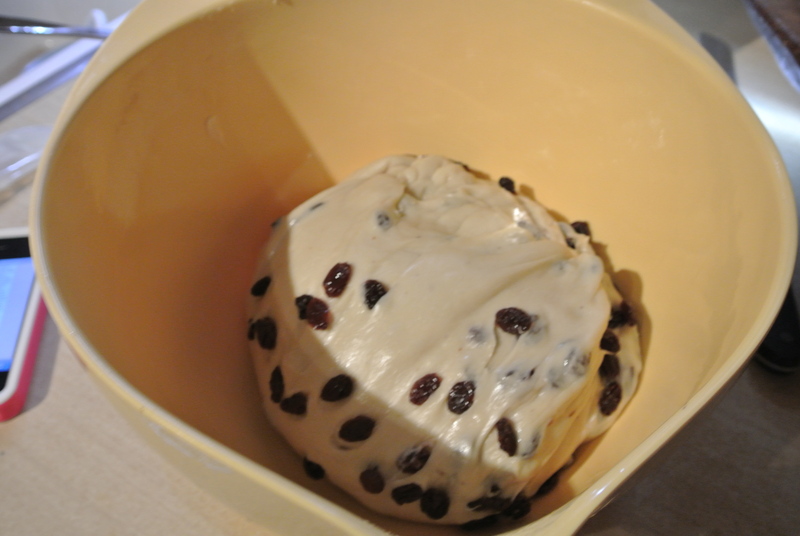 Mix on medium-low until the dough is smooth and elastic, about 7-15 minutes. It will just barely clear the sides of the bowl (it’s stickier than most dough I’ve made, so don’t be concerned if that’s the case – don’t add more flour). 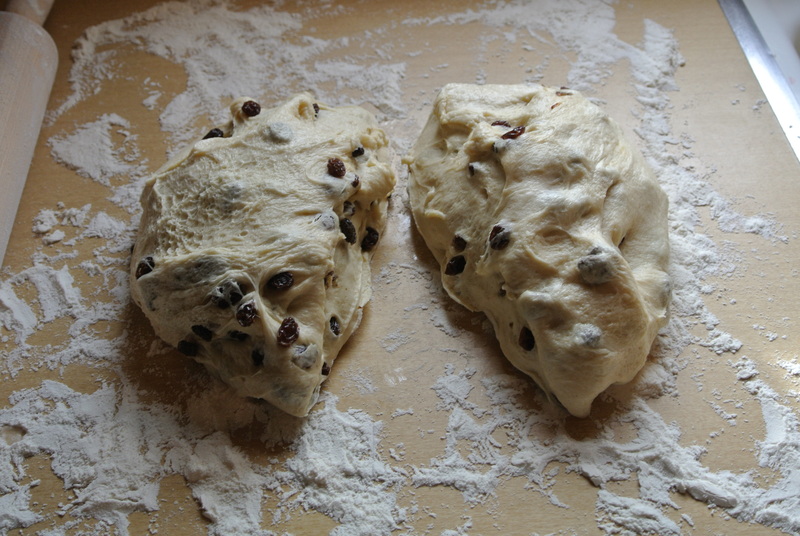 With the mixer still running, add the butter – a few pieces at a time – and continue kneading until the butter is completely incorporated and the dough is smooth and elastic, about 3-5 minutes longer. Again, it might be wet and sticky, don’t add flour. Remove the bowl from the oven. Use the rubber spatula to gently press down on the dough to deflate. Again make 8 folds repeating the process used above. Cover the bowl with plastic wrap and return to the oven. Let rise until doubled in volume, about 45 more minutes. 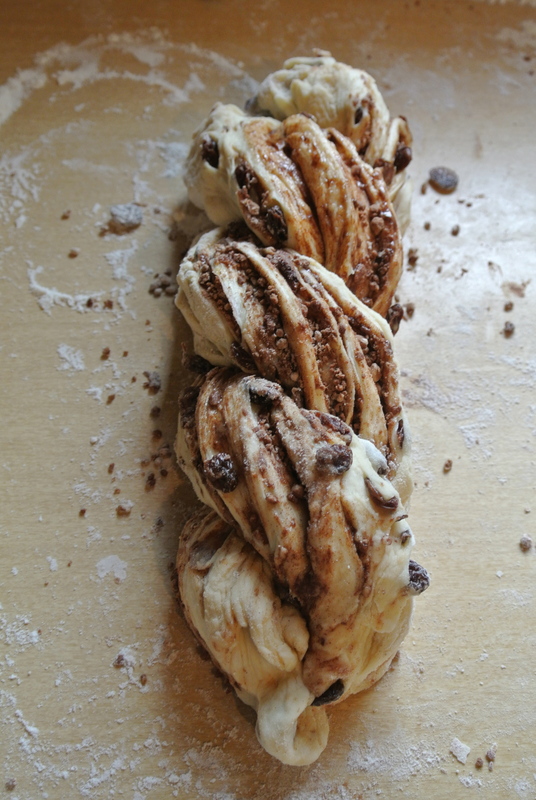 Meanwhile, make the filling by whisking together the confectioners’ sugar, cinnamon, vanilla extract and salt. Spray two 8 1/2 x 4 1/2-inch loaf pans with nonstick cooking spray and set aside. 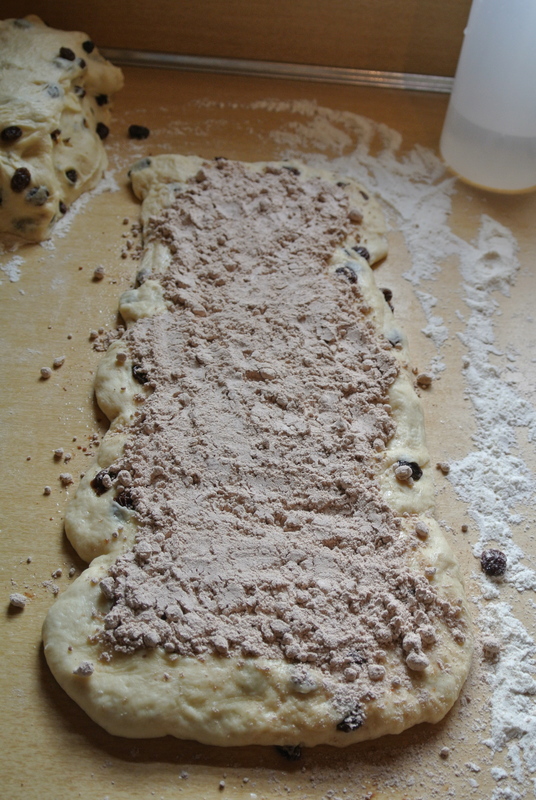 Turn the dough out onto a lightly floured work surface and divide it in half. With a short side facing you, fold the sides in over one another (like a business letter) to form a rough 3 x 11-inch rectangle. 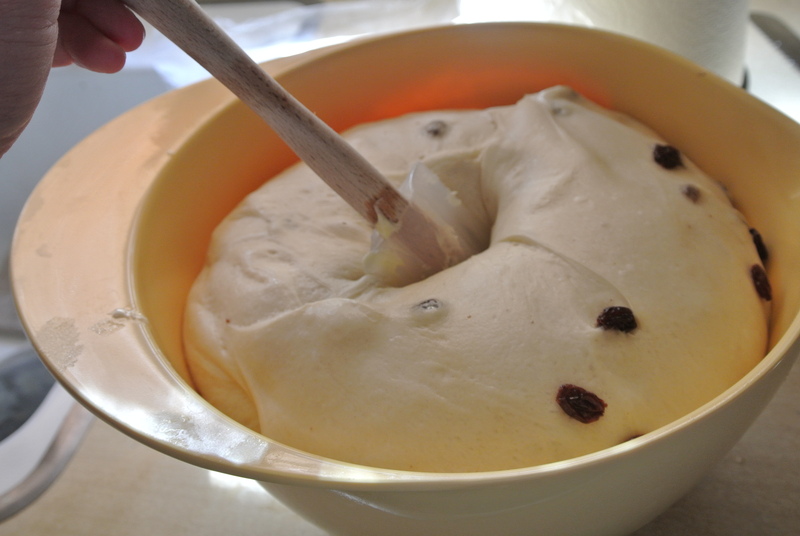 Using a spray bottle, lightly spray the dough with water. 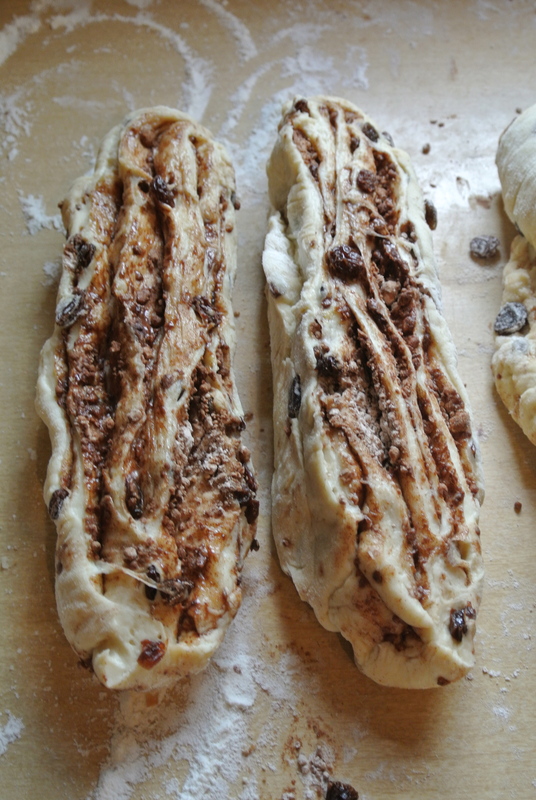 Sprinkle half of filling mixture evenly over dough, leaving about a 1/4-inch border on the sides (the long sides) and 3/4-inch border on top and bottom (the short sides). Spray the filling lightly with water. 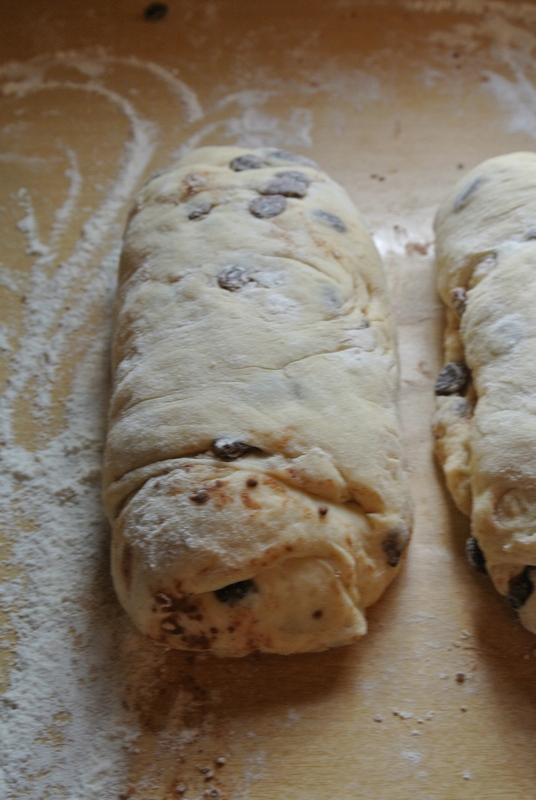 With a short side facing you, roll the dough away from you into a tight cylinder. Pinch the seam of the loaf closed, as well as the ends. Dust the loaf lightly with flour and let rest for 10 minutes. Repeat with the second piece of dough. Working with 1 loaf at a time, cut the loaf in half lengthwise using a sharp knife. Rotate the halves so the cut sides face up. Stretch each piece lengthwise until it is about 14 inches long. Pinch the ends of the two pieces together then cross the piece on the left over the one on the right. Keeping the cut sides up, repeat until the pieces are tightly twisted. Pinch the ends together then transfer to one of the prepared loaf pans, cut sides up. 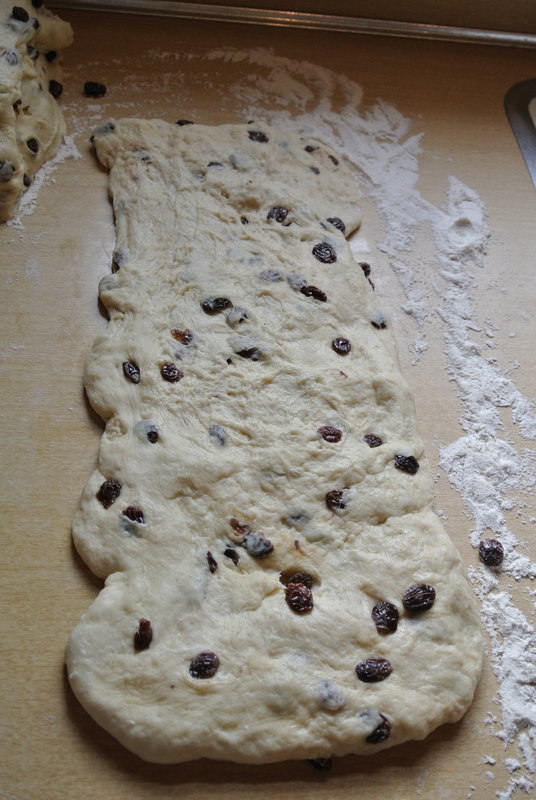 Press any exposed raisins gently down into the dough. Repeat this process to form a second loaf. Cover the loaves loosely with plastic wrap and move them to the oven. Let rise for 45 minutes, then remove from the oven along with the pan of water on the bottom of the oven. Preheat oven to 350 F. Let the loaves rise at room temperature for another 45 minutes, or until almost doubled in size (they should rise about 1 inch over the top of the pan). Brush the loaves with the egg wash. Bake for 25 minutes, or until the crust is brown, then reduce the oven to 325 F, tent the loaves with aluminum foil, and continue baking until the loaves register 200 F on an instant read thermometer about 15-25 minutes longer. I don’t have an instant read thermometer, so I just cooked mine for around 20 minutes longer and it was perfect! Remove the pans to a wire rack and let the loaves cool for 5 minutes, then turn them out and let them cool completely (about 2 hours) before slicing. Store the bread at room temperature well wrapped for up to 2 days, or freeze for up to 1 month.